The Stonehead is so named because it can be stacked with stone inside near its top (or head) with landscape stone, thus concealing it totally in the waterfall. 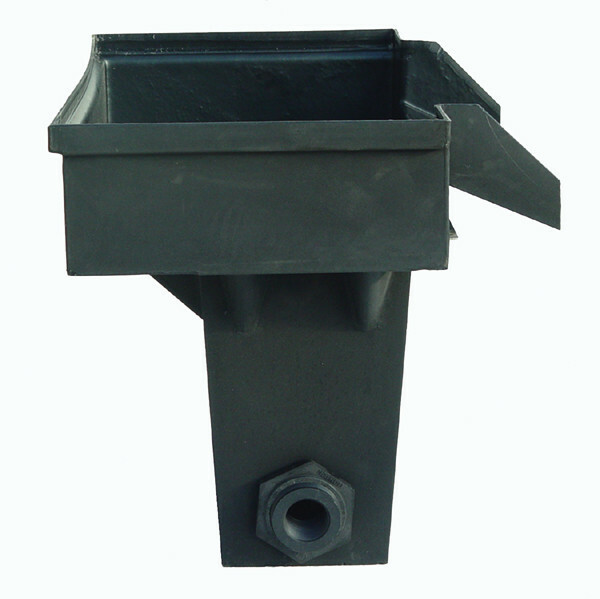 It includes a bolt on aluminum angle for attaching the liner firmly in place beneath the weir. The body of the Stonehead holds a 1 cu ft bag of No-Clog PVC Media (sold seperately 4pvc1).